If you've never been to Japan, you probably can't call to mind the smell of cypress wood, hinoki. 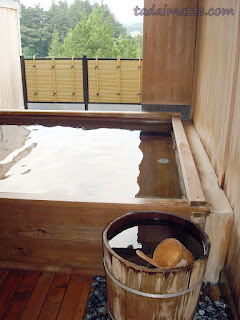 For a frequenter of Japanese baths, though, this scent is very soothing and relaxing! You can even buy blocks of cypress to place in your bath at home to give it that distinctive aroma. Alternately, you can set yourself up with this or even one of these. Oh my gosh. If I ever win the lottery (not that I play the lottery, so the odds are pretty bad), I'll be getting one of these beautiful cypress baths. No - all of them.